Update – May 13, 2015: Following the broadcast, “Winning Girl” was added to PBS’ streaming library. Watch it online for a limited time here. If you ask the Guiness Book of World Records, the quietest place on Earth is in a sound test chamber at a lab in Minnesota. Most people can’t stand the silence for more than 20 minutes, but many people have been compelled to visit, and the lab has considered offering group tours. But that’s a man-made environment. It turns out that finding a truly quiet place in nature isn’t easy. Recording engineer and self-described “soundtracker” Gordon Hempton has spent more than three decades tracking down these silent spaces. He says there are about a dozen that he’s found, from a rainforest in Washington to a grassland park in Canada. The number of places is dwindling, and he keeps most of them secret. But one of them is at the top of Haleakala on Maui. Recently, award-winning Maui filmmaker (and working psychologist) Tom Vendetti was drawn to Hempton’s research. Vendetti had been capturing the stories of different people, places and cultures for more than 20 years. He started in 1986, turning his camera on mental health patients and practitioners, and went on to win an Emmy award for his work on a 2007 film on Bhutan. Although he’s also made films about special places in Arizona, Fiji, Nepal, and Tibet, Vendetti gladly turns his camera on his home. In 1994, he released “Maui Meditation,” focused on relaxation techniques for psychiatric patients. And in 1998, he made “House of the Sun” about Haleakala National Park, and the film is still sold by the park. 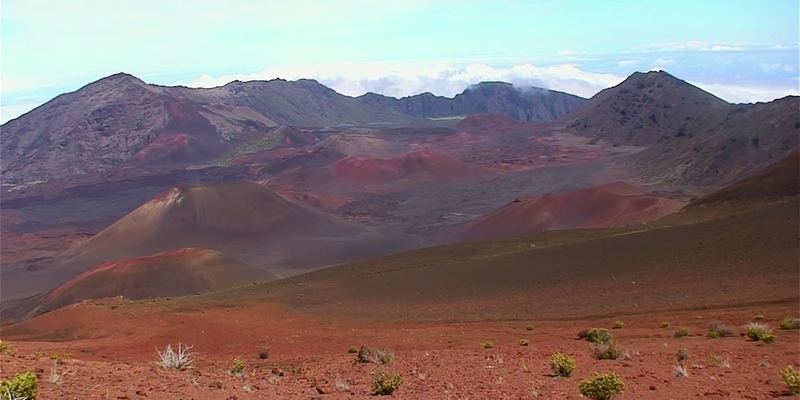 This poetic documentary looks at the majestic mountain through the eyes of Hawaiian cultural practitioners, artists, scientists, authors, musicians, cowboys and spiritual leaders, many of whom live on Haleakala’s slopes. Cultural specialist Clifford Nae‘ole and visionary musical artist Keola Beamer will introduce Haleakala’s preeminent place in Hawaiian mythology as well as in the day-to-day lives of Hawaiians through history … right up to the present, where its silence offers an alternative to the frenzy of modern life. The documentary film includes interviews with world-renowned names like spiritual author Ram Dass and Pulitzer Prize-winning poet W.S. Merwin, as well as space scientists, Buddhist leaders, psychiatrists, and musicians. And while Hawaii residents weren’t able to see the world broadcast premiere of “Winning Girl” yesterday, “The Quietest Place on Earth” airs tonight, May 14 at 9:00 p.m., on PBS Hawaii.